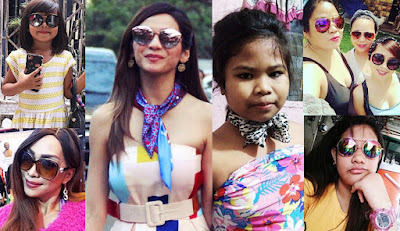 FASHION TREND: Fans Dress Up Like "STEFFI CHAVEZ"
Steffi Chavez is truly a fashion icon. Fans from all ages look forward to what the superstar will wear next and her outfits have inspired women and even little girls. From chic coats, designer dresses, lavish stilettos, fancy sunglasses to a simple ribbon headband Steffi has done it all. Here are some fan photos inspired by Steffi's on-point fashion looks. Catch Steffi Chavez played by Ultimate Star Jennylyn Mercado on 'My Love From The Star' airing weeknights on GMA Telebabad. LOOK: Jennylyn Mercado and Jericho Rosales character names in 'Almost Is Not Enough' REVEALED! Atty. Joji Alonso of Quantum Films shares the character names of Jennylyn Mercado and Jericho Rosales in their upcoming second film together 'Almost Is Not Enough'. From Ethan and Mia in the 2015 hit movie #WalangForever to Gab and Gabby in 'Almost Is Not Enough'. An official entry to the 2017 Metro Manila Film Festval, directed by Dan Villegas, 'Almost Is Not Enough' opens Christmas Day in cinemas nationwide. MMFF 2015 Best Actress and Best Actor, Jennylyn Mercado and Jericho Rosales reunites for another film this year to be directed once again by renowned director Dan Villegas. Under Quantum Films and MJM Productions, the Mercado-Rosales starrer titled 'Almost Is Not Enough' has been announced today, June 30, 2017 as one of the first four official entries to the 2017 Metro Manila Film Festival. Back in 2015, Jennylyn and Jericho's film #WalangForever won Best Picture and was among the said festival's top grossers. Four time FHM cover girl and Sexiest Woman for 2015, Jennylyn Mercado finishes strong in this year's 100 Sexiest Women race. The Ultimate Star ranks at No. 6 and is the only mom in the Top 10. Congratulations Jennylyn! Meanwhile, you can catch Jennylyn Mercado as the Pinay Steffi in the local adaptation of the hit Korean series, 'My Love From The Star', airing weeknights on GMA Telebabad. 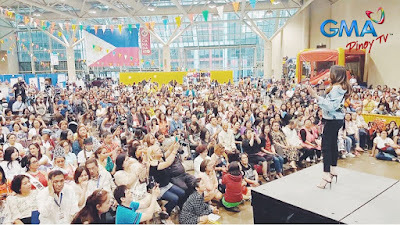 Ultimate Star Jennylyn Mercado celebrated with Kapuso fans in Canada as she joined the festivities at the Pinoy Fiesta and Trade Show in Toronto. Boobay was also in attendance to bring laughter and joy to our kababayans overseas. The event was a huge success with hundreds of fans present and smiles painted on their faces. Thank you so much Toronto, Canada! Pinoy Matteo, Gil Cuerva reveals that there's more kissing scenes and "kilig" moments to expect from Matteo and Steffi in the coming episodes of 'My Love From The Star'. His first kissing scene with Ultimate Star Jennylyn Mercado which aired last week earned raves from viewers and became a top trending topic on social media. Gil says he feels honored to have his first on-screen kiss with Jennylyn. Gil also admits to feeling nervous when doing intimate scenes like this. Watch his interview below with 24 Oras as he reveals how he prepared for his kissing scene with Jennylyn. 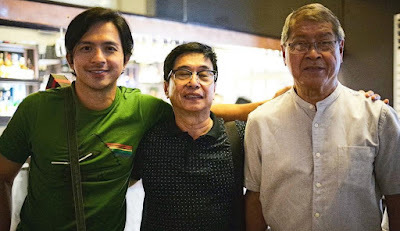 Ultimate Star Jennylyn Mercado took to Instagram to greet three men dearest to her heart on Father's Day, Isn't so nice to see Dennis and Jennylyn's families spend a special occasion together? Check out Jennylyn's post below. Meanwhile you can catch Jennylyn in the local adaption of 'My Love From The Star' on GMA Telebabad right after Dennis Trillo's Mulawin Vs. Ravena. Here's another photo shared by a fan page dedicated to Dennis Trillo. Ultimate Star Jennylyn Mercado shares her plans on Father's Day this coming Sunday. She says she and her family plan to go out and have dinner. It can be recalled that her biological father is now living with her. Meanwhile, her character Steffi will face the biggest dilemma of her career in the Philippine adaptation of 'My Love From The Star'. Catch it on GMA Telebabad, Mondays-Fridays right after Mulawin Vs. Ravena. Watch Jennylyn's full interview below with 24 Oras. Kilig overload! Direk Bb, Joyce Bernal shares one of the most anticipated scenes from the local adaptation of the hit Koreanovela 'My Love From The Star', the first kissing scene of Steffi Chavez and Matteo Domingo played by Jennylyn Mercado and Gil Cuerva respectively. Expect more "kilig" scenes from 'My Love From The Star', airing weeknights on GMA Telebabad right after Mulawin Vs. Ravena. Move over Steffi, Mimi is here! 'My Love From The Star' fan, Facebook user Mimi Odal Ontolan Babliing made her own version of Steffi Chavez's iconic rap scene in full Steffi attire! She says there are times that she also gets crazy like her idol Jennylyn aka Steffi. She feels that singing Steffi's rap makes her voice more beautiful. LOOK: 'My Love From The Star' pilot week, consistent ratings winner! The local adaptation of the hit Korean drama series 'My Love From The Star' starring Jennylyn Mercado and Gil Cuerva drew in more viewers during its pilot week telecast. 'My Love From The Star' consistently beat its rival program in the ratings game according to the data from AGB Nielsen / NUTAM People in TV Homes. Its premiere episode garnered 11% which is higher than rival's 9.4%. 'My Love From The Star' continued its winning streak for the rest of the week. (Tuesday 10.9% vs 9.5%; Wednesday 10.0% vs 9.1%; Thursday 11.1% vs 10.7%; Friday 10.3% vs 9.5%). Aside from 'My Love From The Star's' strong viewership, the Jennylyn Mercado-Gil Cuerva starrer also drew raves from netizens online as the show was also a consistent top trending topic on social media. After a very successful pilot week, 'My Love From The Star's' very own Steffi and Matteo played by the Ultimate Star Jennylyn Mercado and Gil Cuerva are now rapidly gaining popularity as the newest Kapuso love teams to watch out for. 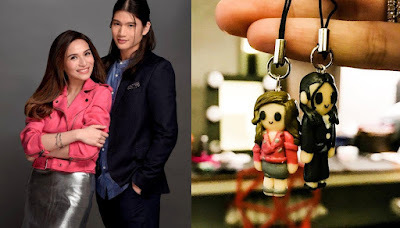 As a matter of fact as early as now, the "JenGil" tandem now has their own version of collectible mini dolls. Here's Jennylyn herself sharing hers on her Instagram account. Once a Tough Mama, always a Tough Mama! Ultimate Star and proud mom, Jennylyn Mercado beams with pleasure as she signs her endorsement contract renewal with top appliance brand, Tough Mama Home and Kitchen Appliance. Present at her contract signing are Mr. Renz Yao, Vice-President of Cherenz Global Mfg. Corp. for Tough Mama Home & Kitchen appliances; Ms. Yovi Valenzuela, Marketing Manager, Cherenz Global Mfg. Corp., Ms. Katrina Aguila, Becky Aguila Ent. Mktg. and Ms. Nancy Roxas, President & CEO of World Impact Communications, Inc.
Congratulations Jennylyn! Nobody's Tough like Mama!